Interested in learning more about this service? Call 833-708-4633 to talk with a compliance specialist today! Full-service testing and file management services from experts who know DOT requirements. Read more. With the Drug & Alcohol Program Management Service, you won't waste time tracking down test results, reconciling invoices, or scrambling at year-end to meet the required testing percentages. Instead, you'll have the peace of mind that comes from knowing the job is being done right by an industry leader in compliance management. Rely on J. J. Keller to fully manage your DOT Drug & Alcohol Testing Program. We take the guesswork out of what test to use, who to test and when to test. We closely monitor regulations and manage your program to fully meet DOT requirements. Keep drivers on the road safe with a reliable drug and alcohol testing program. Receive fast notification of positive tests, so you can act immediately. 97% of test results are returned within 48 hours. Your files will be securely stored electronically, accessible 24/7 in the Client Information Center. Minimize costs of in-house expertise & relieve your accounting dept with consolidated billing (One monthly D&A testing bill). In the event of an audit, J. J. Keller experts will prepare your records and be available for questions throughout the process. Support your work environment and allow your company to navigate this complex and sensitive topic by making sure you have a comprehensive, effective drug & alcohol policy. We review your policy to ensure compliance. If you don't have one, don't worry! We'll help you create one. 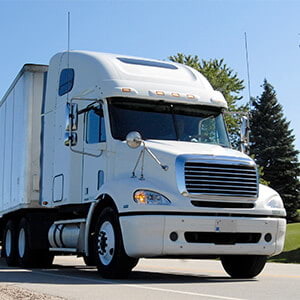 We create a centralized driver database by establishing an electronic file for each driver — all file contents are saved electronically, and you have access to them 24/7 in your secure Client Information Center (CIC) online portal. All your operating locations will be in one database. These electronic files help us establish an initial compliance benchmark that we measure against. With a nationwide network of over 8,000 clinics, we work with you to set up a clinic near you. If needed, we add additional clinics. We work with you to establish your drug testing pool. Consortium services are available for owner-operators and smaller fleets. The Client Information Center web portal will keep you informed of the compliance work we're managing on your behalf. In addition to working directly with your assigned compliance specialist, you can access this site to get immediate information on your compliance. Your dedicated compliance specialist will generate random selections and manage communication with clinics, laboratories and Medical Review Officers (MROs) on your behalf. We provide annual statistical tracking and reporting. All driver files and paperwork are available 24/7 through the CIC portal. Your documents will be securely retained electronically at J. J. Keller and purged according to regulatory timelines. More than 95% of our customers choose to stay with us year after year! What if my company doesn't have a drug and alcohol testing policy? J. J. Keller will help you develop a DOT or non-regulated driver policy specifically for your company as needed. Who will have access to the web site for viewing information? Your company identifies who should have access to information based on job function and responsibility. Security measures include incryption of data and password protected access. Will I need to be in contact with the labs and clinics? No. J. J. Keller manages the communication with clinics and labs on your behalf. When I call J. J. Keller regarding my account, who will be my contact? 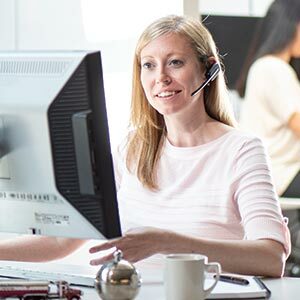 You will be assigned a dedicated account representative with a knowledgeable backup support team. Will I receive separate invoices from J. J. Keller, the clinics, and the labs? No. You will receive one detailed invoice from J. J. Keller with summaries for each service provided. 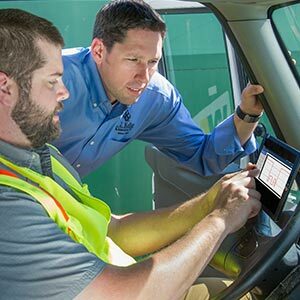 How will I know when a driver/employee needs to be randomly tested? J. J. Keller notifies the client with a traceable mail letter to the designated company contact, and follows up with a phone call to answer any questions. What types of tests does J. J. Keller offer? J. J. Keller offers random selection, reasonable suspicion, post-accident, return-to-duty, and pre-employment testing. What is the turnaround time for test results? Industry leading turnaround: 97% of tests are returned and posted on your web portal within 48 hours. If I have a regulatory question, can I speak with a consultant? Absolutely. J. J. Keller consultants and advisors are available via phone or e-mail to answer your regulatory questions. How many collection sites does J. J. Keller offer? J. J. Keller works with over 8,000+ clinics nationwide. If you prefer a clinic that is not a current partner, J. J. Keller will add that clinic to our network at no charge. Is my company responsible for managing the correct testing forms? J. J. Keller helps ensure that required forms are utilized, including chain-of-custody forms. What happens after I sign the agreement to work with J. J. Keller? A client implementation specialist will work with you and your key staff to implement the drug and alcohol testing process at your company. We'll guide you every step of the way. What happens if my company is selected for a DOT audit? J. J. Keller prepares your files for the audit and works closely with you throughout the process. Our goal is to help you easily pass the audit. How do small companies meet random selection requirements? J. J. Keller offers a consortium for small companies. Drivers are entered into a random selection pool and selected based on DOT requirements. I have a small fleet and need to be part of a drug & alcohol pool. J. J. Keller offers a consortium for small companies. Drivers are entered in a random selection pool based on DOT requirements. Pricing for consortium services starts at just one driver. How many clinics do you work with? J. J. Keller works with over 8,000 clinics nationwide. We are constantly adding new clinics. Contact a compliance specialist today to better understand our network of clinics. What are your support hours if my driver is in an accident? Our compliance specialists are available 24/7 to help clients determine if a post-accident test is needed. Learn more about this service to see how J. J. Keller can help protect your company, reduce your risk and improve your safety & compliance. 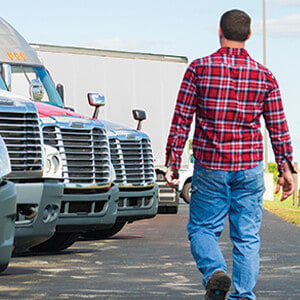 This compliance brief explains 3 reasons why a comprehensive policy helps fleets avoid the risks related to drug & alcohol abuse. This whitepaper can help you understand what is required of USDOT drug and alcohol testing programs.